There is a voluntary trip to Tanzania which happens annually and usually someone from SLB/Classical Chandeliers goes; this year it was me who had the privilege of going. The recent trip is also what has inspired this article. In Tanzania and other developing countries, electricity is part of a lifestyle that many families don’t have. If they do have electricity, it is likely to be from a single bulb and won’t be very reliable. For those of you (probably quite a few of you) who haven’t been to Africa, it gets very dark very quickly in the evenings. So, if you don’t have electricity, doing anything after the sun has gone down would be next to impossible. The Grassroots Trust is a charity which works with families who might be in need of some help and assistance to support their children in Tanzania. This is who organises the annual trip and encourages volunteers to go to Tanzania and help them. This year the use of solar powered lighting stood out to me – especially because of working here at Saving-Light-Bulbs but also because I hadn’t previously thought in much detail about the importance of light to these families and communities. Solar powered lights can be purchased in Tanzania and with the brightness of the day, it makes a perfect time for solar lamps to be charged and powered in order to light up the evenings. There is a company called “Sunny Money” who focus to selling solar lights to specific African countries, and thankfully Tanzania happens to be one of them! There are a range of products which Sunny Money sells that will help light up homes into the dark nights without the use of any electricity. Some of their products will even charge phones as well as provide light! Solar lights are something that I’ve never really thought about, and in all honestly, I don’t know much about them at all – not even how they work or what they’re advantages are. As I taught myself, I thought I would also teach these findings to you! So, how do solar lights work? Solar lights, like anything, are made up of a number of components which all work together to make solar lamps work and prevent them from needing any direct power from electricity. Each solar lamp needs a battery, but the size of this will change depending on the size of the lamp and what its purpose is. Within a solar lamp you will find solar cells or solar panels, a battery, charge controller and possibly an inverter (when it is needed). T he solar cells/panels are fundamentally made up of layers of different materials. Crystals are the main material that they are made up of, they are currently made out of cheaper, smaller crystals like copper, indium, gallium and selenide. The crystals are made out of covalent bonds between electrons on the outer shell of silicon atoms. Silicon is a semiconductor which means it doesn’t normally conduct electricity but in the circumstance where it is exposed to light, it does. The battery is obviously important as it saves energy from solar panels and provides power to the light when there is no light to provide solar energy. The charge controller works alongside the battery to ensure that the battery keeps its charge and that it is protected despite any circumstances e.g extreme weather conditions or large temperature differences. An inverter isn’t always necessary but can be used to enable people to use AC power, as solar power is first produced in DC. Solar lights aren’t used very often, but when they are used, it is most common to see them on roofs of houses converting power so that many can save money on their electricity bills. So why aren’t they seen more often? I honestly have no idea! There seems to be hardly anything wrong with them! For starters, they are really easy to install as there doesn’t need to be a cable; this also makes it easy should they ever need replacing, for management etc. Due to them being solar lights though, there isn’t a maintenance cost because beside the initial installation, one time cost, the solar lights genuinely just run themselves. 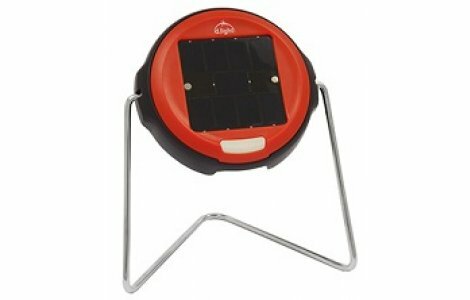 Solar lamps can generally be used anywhere and at any time, it just needs to be ensured that there is charge in the lamp and it’s ready to go! As I said previously solar lights save money on electricity bills because after the initial cost of installation, the solar lighting is usually self-sufficient. 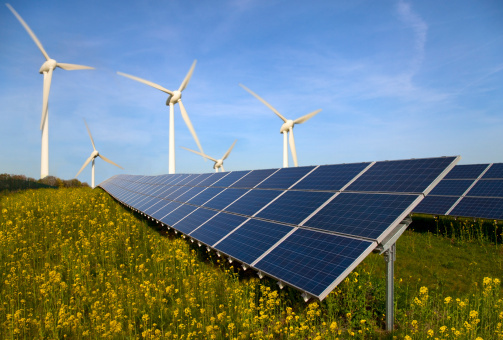 Solar power also has lower voltage compared with electricity which contributes to saving money on electricity bills. Environmentally, they are very friendly! They run on solar energy which is renewable so there is no way that the source of power for solar lighting could run out. 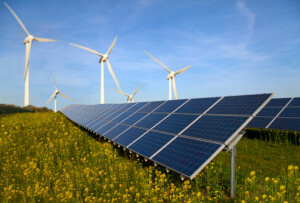 The fact that the lighting is run from renewable energy also avoids pollution because there is nothing that is given off in the creation of solar energy. The only negative of solar power lighting is that it is weather dependent – in order to charge up, there has to have been good weather. Overall, I can’t find much wrong or bad with solar lighting! And think it’s a positive thing that it is also being used to help homes in Africa and struggling countries where electricity is hard to come by. Solar lighting can be a great way to increase the value of your home. It can be the help you need if you want to save from energy. 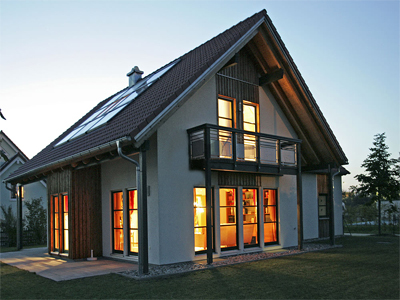 Make sure that you maximize the use of solar energy for your home or any property.